As a community we are fortunate to have an extensive network of public footpaths in the village which are protected by law. For a number of years Breckland District Council has paid for many of these paths to be cut on a regular basis thus making them readily available for all of us to use. However, as part of the local government cutbacks Breckland is no longer able to finance the cutting of these footpaths and is instead insisting that the landowners fulfil their legal obligations by ensuring that these paths are accessible at all times. The withdrawal of regular cutting by Breckland has meant that many paths in each village have become overgrown and difficult to walk this year. Norfolk County Council has given responsibility for footpath maintenance to its Highways Department who will deal directly with the landowner to ensure he is fulfilling his legal obligations. 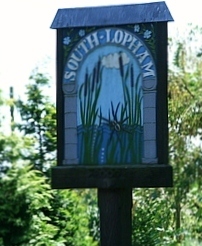 However the parish councils in North and South Lopham would like to be made aware of any footpath problems so that they can monitor the situation in each village. Please contact the Parish Clerk, add a comment to this post or tweet @SouthLopham using hashtag #PRoW to report any issues. Outlined below is where legal responsibility resides in each case.